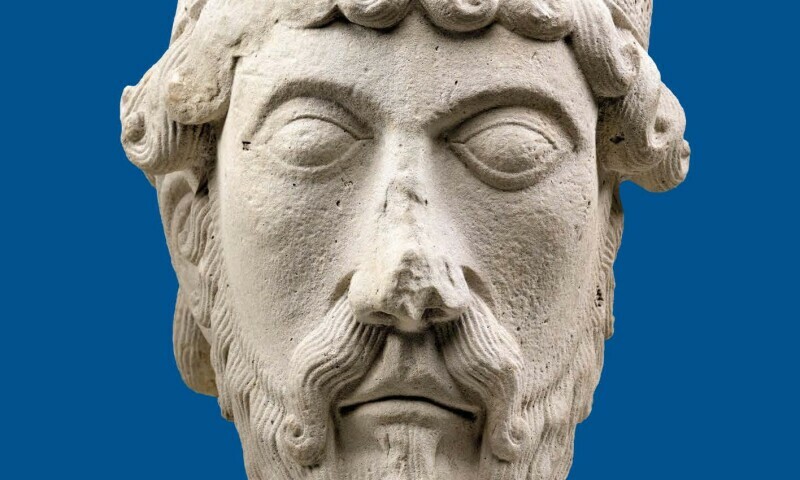 Anonymous, Head of Statue, c. 1135-1150. On the occasion of the exhibition Birth of Gothic Sculpture, Saint-Denis, Paris, Chartres, 1135 - 1150, come to witness the appearance, nine centuries ago, of a new aesthetic. While a new art of building supplants Romanesque architecture, the sculpture associated with it is essential throughout the Ile-de-France, between 1135 and 1150 approximately. The doorways with statues and columns now symbolize Gothic sculpture, but do not summarize the phenomenon, between circulation of the models and research of expression. The exhibition brings together previously unpublished statues-columns of the royal portal of Chartres, remnants of those of the western portals of the abbot Suger in Saint-Denis, but also other testimonials of an abundance of experiences - portal Sainte- Anne of Notre-Dame de Paris, cloister of Saint-Denis.